You love sweet and delicious cakes? How many interesting things they can find! Nutty, honey, chocolate, cherry or just sponge cake! Why not just order the customers of this cafe and that little cook. I think he will make any cake, but not himself. 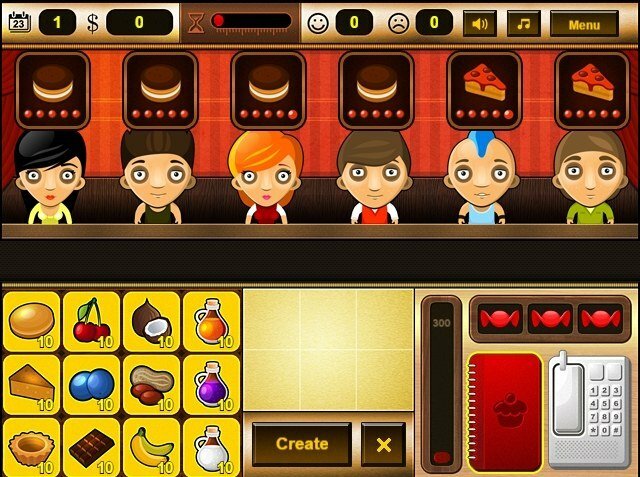 Help him so he had to fulfill all the orders and all the customers were satisfied in this Cake Bar game. How to play: create cakes for easy recipes that you will find in the book near the cash register. Go through simple training to quickly master the skills and make as many orders in one day. Perform job on every day and learn new recipes. Played: 14292. Added: 17-11-2015, 14:44. 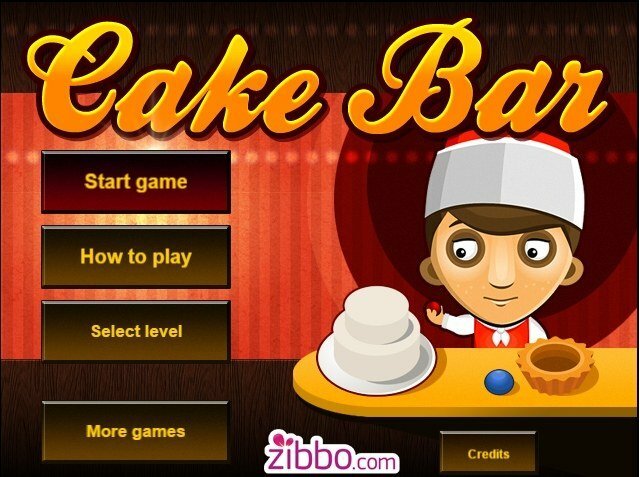 First day at cake bar.